As a landlord to rental property in Florida, it is important to know all your rights and responsibilities. This includes knowing when you can be held liable for an injury to a tenant or visitor to the rental property you own. The landlord had a responsibility to maintain a part of the premises that resulted in the accident. The landlord did not take the proper steps to help avert the accident that occurred. Fixing the issue (or providing adequate warnings) would not have been something that was unreasonably difficult or expensive. The serious injury was the probable consequence of not repairing the issue, which means the accident was foreseeable. The failure of the landlord and his negligence resulted in the tenant’s accident. The tenant was truly hurt. It is the responsibility of the landlord to ensure the steps are properly maintained. (This is typically the situation because the steps are considered to be part of the common area, which falls under the landlord’s responsibility). The landlord did not take reasonable steps to ensure the steps were properly maintained (for several days or weeks, not if the step was only broken for a few minutes). A repair would have been inexpensive or easy (repairing a broken step is not a very involved process). The broken step is what resulted in the injury (the tenant must be able to provide proof that they fell on the step and that the step is where their ankle was broken). The tenant is actually hurt (they aren’t faking the injury). 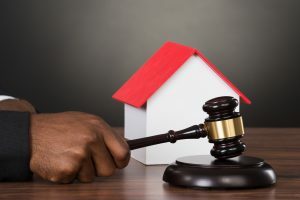 Tenants have the ability to file a personal injury lawsuit or a claim against the insurance company of the landlord for lost earnings, medical bills, and another type of physical suffering, emotional distress, or permanent physical disability. Tenants are also able to sue for any damage that may occur to their personal property, such as a vehicle or stereo that results from unsafe conditions or faulty maintenance. In most cases, if you have any issues with liability & negligence at your rental property, it is best to work with an experienced landlord attorneys. Our offices can help ensure your rights are protected and can help recover the compensation you deserve for the injuries or damages you suffered.